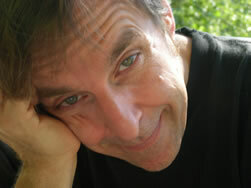 Rick Nance is an acousmatic composer as well as a free improvisational trumpet and guitar player. In both fields he thinks about gesture, physical space and spectral space. His compositions are primarily intended for multi-channel, diffused fixed-media contexts; he also composes mixed instrumental and fixed-media pieces. Some works are used in large-scale improvisational settings and in dance, interactive live mixed-media performance and gallery installations. He writes about music as being a plastic art, focusing on the interactions between the composer, the studio environment and the possibilities of the acousmatic instrumentalist. Nance studied with Charles Norman Mason, Michael Angell, Andrew Lewis and Jonty Harrison, and completed his PhD with John Young.